Need to spot clean carpet stains throughout your home? Carpet Aid cleaner is the environmentally friendly, professional choice for removing tough carpet stains. To spot clean carpet with this spray can, simply spray on the stain and blot. Carpet Aid rug cleaner really works and is cost effective! Use this rug cleaner on pet stains, wine, food spills, and much more. 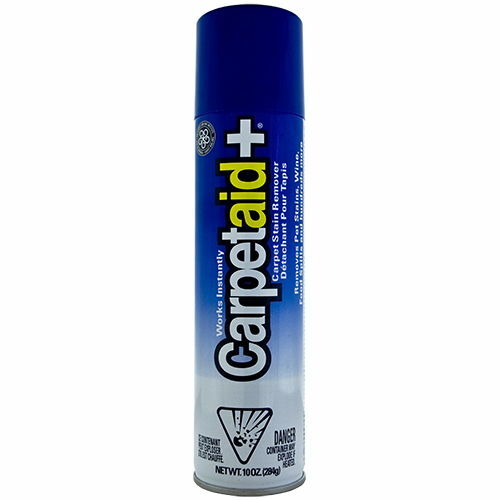 Carpetaid is a biodegradable, odor free reason to spot clean your carpet. Test this stain remover on your toughest stains. There are 10 oz of stain fighting power in each can. 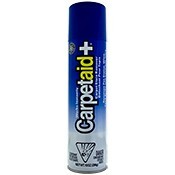 Like CarpetAid+? Then try FloorAid+ for your hard surface floors. Made by the same great company. Be sure to have a can handy for every room throughout the house, order today!